Chinyere Nelson-Ezeugo in her 50s is a simple unassuming woman. A Christian by choice and a believer by conviction. She is passionate about serving her God in every sphere of her secular and spiritual activities. She is an entrepreneur overseeing a Company established since 1993 with initial interest in telecommunications. Presently she is a licensed exporter with the Nigerian Export Promotion Council, having been involved with the export sector for upwards of 10 years exporting, promoting and desirous that our local food items reach the international community and Nigerians in diaspora. She is also into general merchandising and a Customer care consultant with an affiliate membership of Customer Care Institute, USA. Chinyere Nelson-Ezeugo is a mentor, a counselor, a coach, a trainer and a freelance writer for a few Women based magazines like “Woman of Substance” and ” Woman 3rd Dimension” with special interest in girl child issues, marital and motherhood. 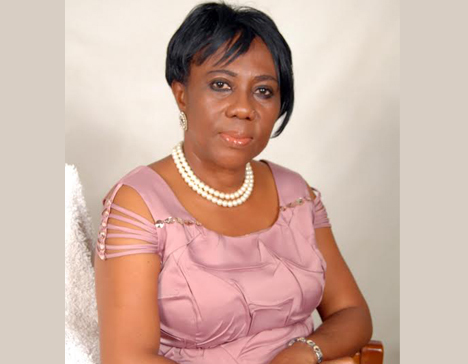 She has been a Women’s President and leader within the Church circle for upwards of 15 years. She strives to mentor and encourage women to reach their potentials for their wellness and God’s glory. She is a minister of the Word. From her business interests, she has been helping other widows and less priviedged women within and outside the Church with little financial aid to pay school fees, pay house rents and capitalize their businesses and she is undaunted in continuing with this service despite her own challenges as a widow. Through her income she supports and is passionate about missions work and financially supports missionaries as the lord provides for her. From her humble business experiences she provides counsel and coaching for other women in business. She holds a Masters desgree in Business Administeation (MBA)Public Relations and Advertising) Widowed in her prime 10 years ago, She currently resides in Lagos, Nigeria with her children.